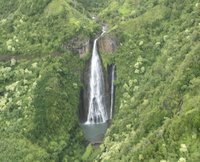 Our tour book said going to Kauai without taking a helicopter flight is like going to the Sistine Chapel and not looking up. The author of the tour book was right. Today's helicopter ride was a blast. We flew in a Hughes 500 with the doors removed and it makes a huge difference, as there's literally nothing between you and nature at that point. Yes, it's a little intimidating at times, but it's also so cool to just be hanging over the coast or a mountain or a waterfall. During the trip, we ended up seeing a couple of areas that were used in the first Jurassic Park movie. The first area included the lake and plains where the dinosaurs were first shown. 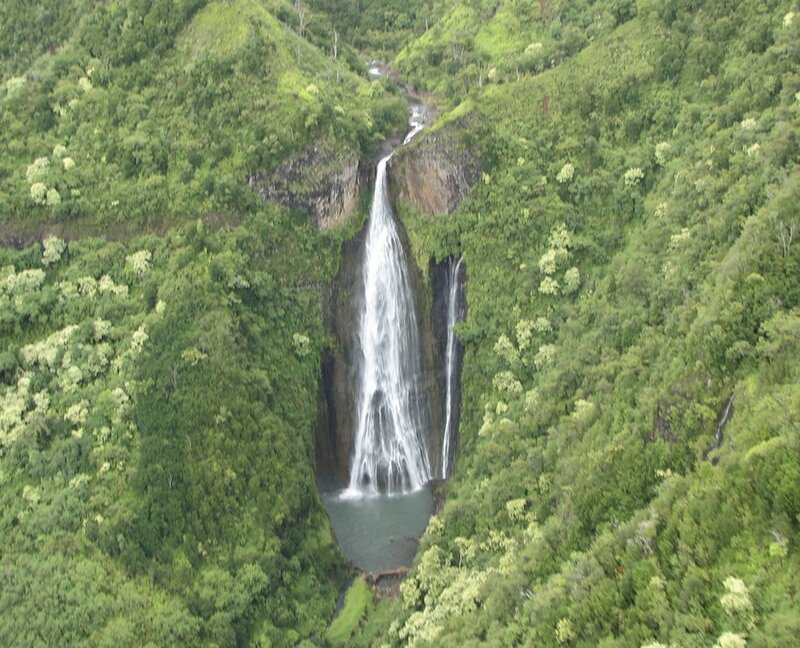 The second was Manawaiopuna Falls (pictured top left), which was the landing site where the visitors first entered the jeeps upon arrival to the island. You know, the scene where Dr. Grant can't figure out how to get his seat belts latched. "We'll have landed by the time you figure it out..."
We also got to fly through Waimea Canyon, the Grand Canyon of the Pacific, and over the Na Pali coast (pictured left). Waimea Canyon was interesting since it was raining at the time, which makes that whole lack of doors thing come into play a little bit. 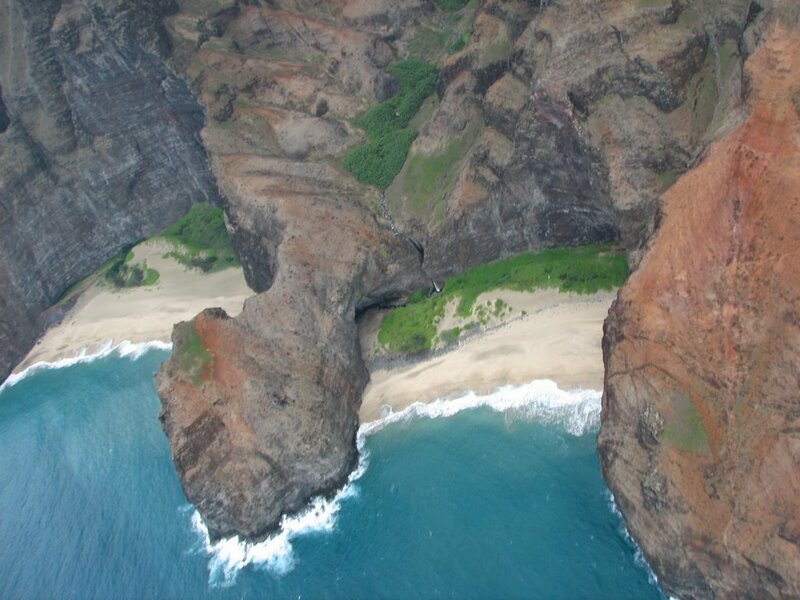 :) And the Na Pali coast is flat out gorgeous. Midway through the trip we also stopped at a private waterfall for lunch and a swim in the lake at the base of the waterfall.